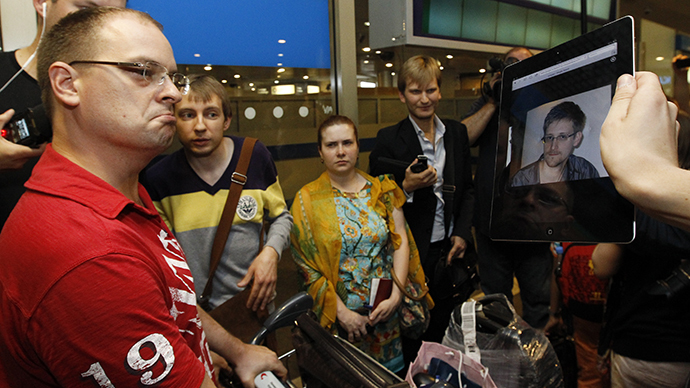 Whistleblower Edward Snowden has reportedly stayed overnight at Moscow’s Sheremetyevo airport. The former CIA contractor, who left Hong Kong in a bid to elude extradition to the US on espionage charges, is on his way to a ‘third country’ via Russia. The plane allegedly carrying Edward Snowden landed in Moscow shortly after 5pm local time on Sunday. Crowds of press and bystanders were hoping to grab a glimpse of the world’s most famous whistleblower, but to no avail, although the confirmation has arrived that he is in the terminal building. After Edward Snowden's plane touched down in Moscow, Ecuador’s Foreign Minister Ricardo Patino announced via twitter that Snowden had applied for asylum. Meanwhile, Ecuador’s ambassador to Russia, Patricio Chavez, arrived at Sheremetyevo Airport allegedly to greet Snowden. 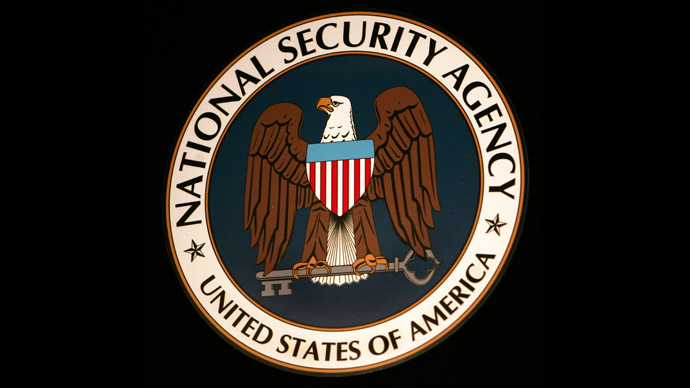 Snowden is still at the airport, an unnamed source in Sheremetyevo airport management confirmed to Interfax news agency. 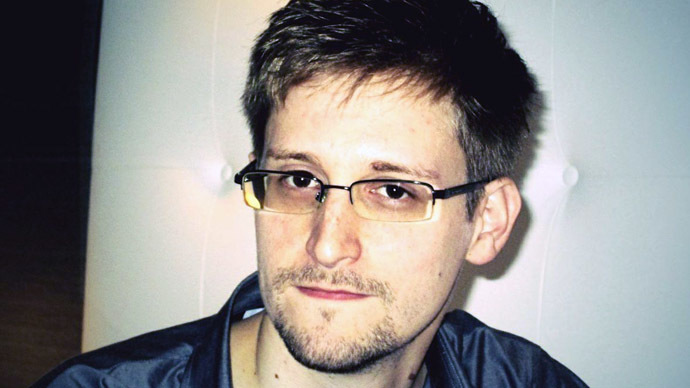 "Snowden is a transit passenger, his next flight is to Cuba, he remains in the airport complex – where he’s supposed to be, waiting for the next flight," the source said. A source at Aeroflot Russian Airlines told the agency that the whistleblower, who is accompanied by WikiLeaks representative, Sarah Harrison, has rented a suit at the airport’s «V-Express» Capsule Hotel. “He arrived. But he can’t leave the terminal because he doesn’t have a Russian visa,” the source said. Two cars with diplomatic license plates of Ecuador – the country named among Snowden’s possible destinations – were spotted at Sheremetyevo airport. 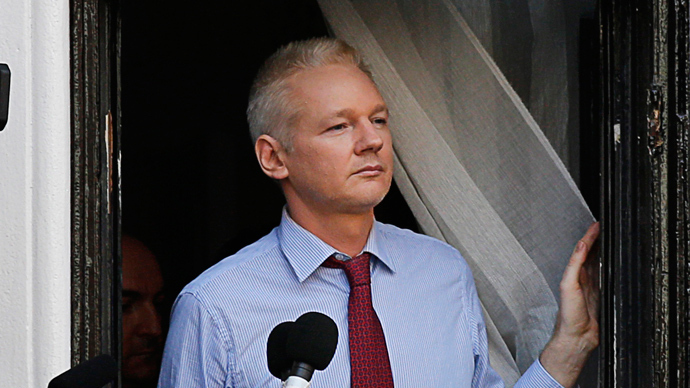 WikiLeaks founder, Julian Assange, told Australian Sydney Morning Herald paper that Snowden will be met by “diplomats from the country that will be his ultimate destination” in the airport, who’ll accompany him on a further flight to his final destination. 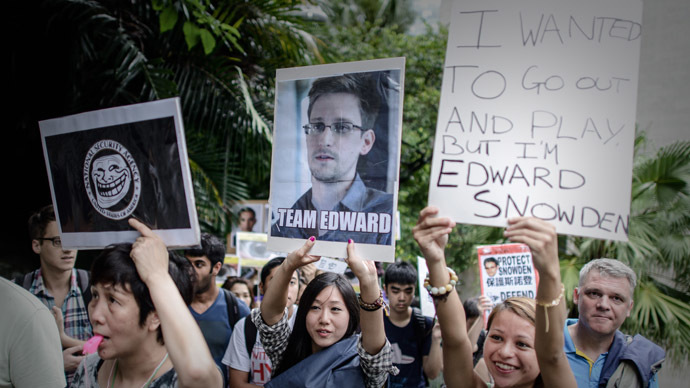 Earlier on Sunday, a spokesperson from the Hong Kong government confirmed that Edward Snowden had "legally and voluntarily" left the country. 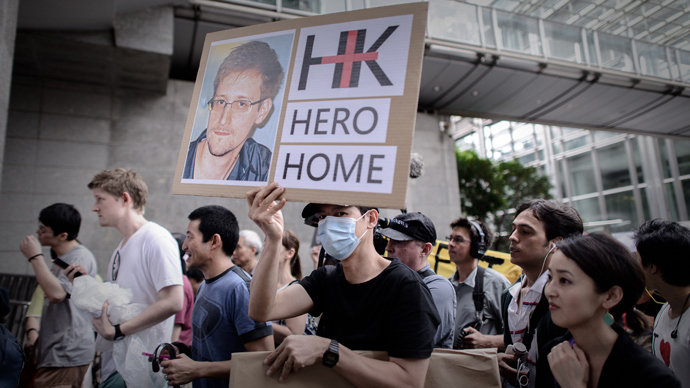 Media reports that Snowden's passport was revoked on Saturday, which makes it unclear how he was able to depart from Hong Kong. Russian President Vladimir Putin’s spokesperson, Dmitry Peskov said the Kremlin was unaware of Snowden’s plans to fly to Moscow, and had no information of any contact between Snowden and Russian authorities. The arrival of Snowden in Iceland is “highly unlikely”, the head of Icelandic prime minister’s press-service, Johannes Skulason, told Interfax news agency, adding that the country’s government has no information on the whistleblower's whereabouts. According to Icelandic law, a person has to be in the country in order to apply for political asylum there. Citing a source close to Snowden, Russian news agency Interfax reported that the whistleblower’s final destination will be Venezuela with a transfer in Havana, Cuba. He will reportedly be on flight SU150 to Havana, leaving Moscow on Monday and then on flight V-04101 to Caracas. “He chose such a complicated route in the hope that he would not be arrested on the way to his final destination of Venezuela,” the source told Interfax. 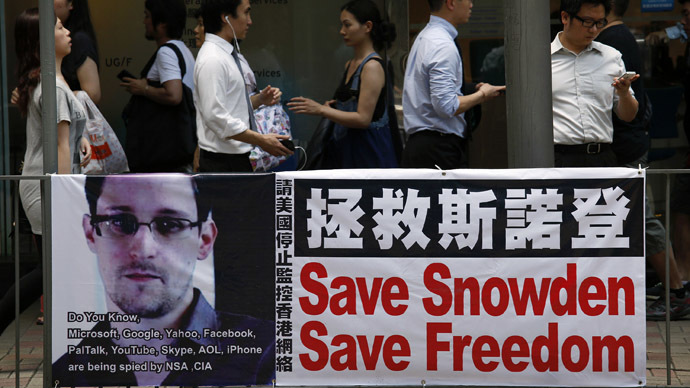 The US will seek cooperation with governments of countries where Snowden may go, Justice Department Spokeswoman Nanda Chitre stated on Sunday. 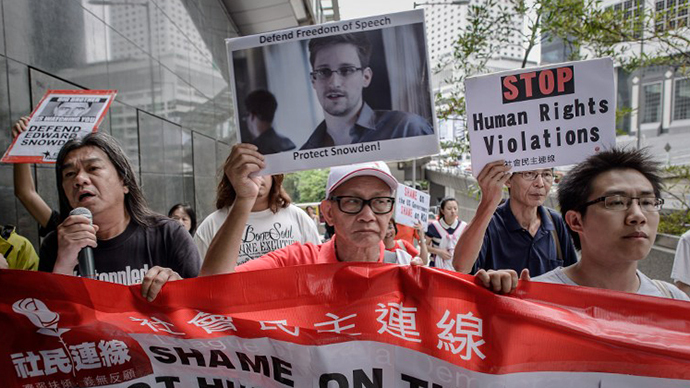 “We will continue to discuss this matter with Hong Kong and pursue relevant law enforcement cooperation with other countries where Mr. Snowden may be attempting to travel,” she said, as cited by Reuters. The emergence of whistleblowers like Julian Assange, Bradley Manning and now Edward Snowden means the world will have an increasingly clearer view of the actual state of affairs, Pepe Escobar, an Asia Times correspondent in Hong Kong told RT. “Definitely, we’re going to have a collection of Assanges, Mannings and Snowdens from now on, especially from the US tech geeks who are extremely uncomfortable with this Orwellian panopticon surveillance thing: not only in the US as we’ve seen some revelations on Britain as well. It is an Anglo-American thing. 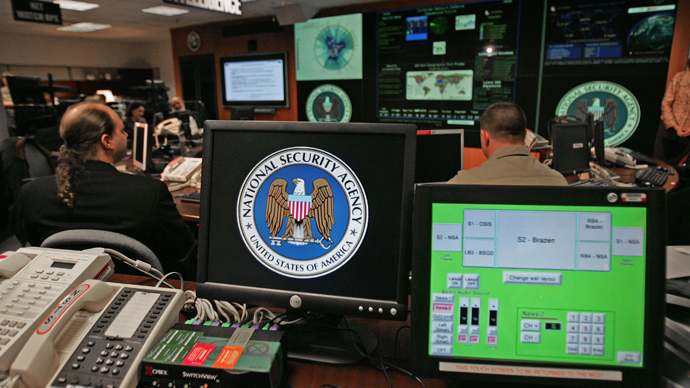 Of course everybody is involved in cyber wars, but the forefront is the US,” Escobar argues. 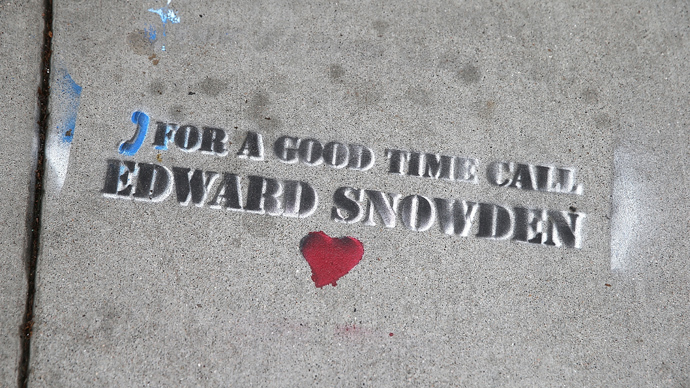 Don Debar, an anti-war activist and journalist, believes that Snowden’s actions will encourage more whistleblowers to come out.